ASPHostDirectory.com, a leading Windows web hosting provider, proudly announces the latest IIS 8.5 hosting which is now available for all of our Windows hosting plans. We are proud to be few of the hosting providers that provide IIS 8.5 Web Hosting services to our clients. 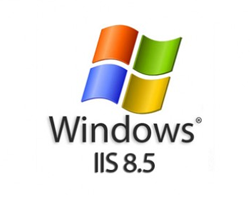 IIS 8.5 is the next generation of the web servers that being launched by Microsoft to integrate Windows Server 2012 R2 Platform. IIS 8.5 includes Idle worker-Process page-out, Dynamic Site Activation, Enhanced Logging, ETW logging, and Automatic Certificate Rebind. ASPHostDirectory.com offers IIS 8.5 hosting packages with affordable prices and great customer support. We fully Support MSSQL Express, SharePoint and many more. Learn more about IIS 8.5, then sign up for a web hosting account from ASPHostDirectory.com plans. You can start hosting your website with ASPHostDirectory.com now! Sign up for our UK IIS 8.5 Hosting with no risk to try our excellent service start from £2.99/month! ASPHostDirectory.com offers cheap IIS 8.5 Hosting to all our new and existing UK customers. You can try our services before buy it. Get FREE 7 days Trial Hosting with us. There's no obligation to buy — you can upgrade to a more robust account or cancel at any time. No risk anymore, why wait longer?